Chew one alcohol-free pastille as required. 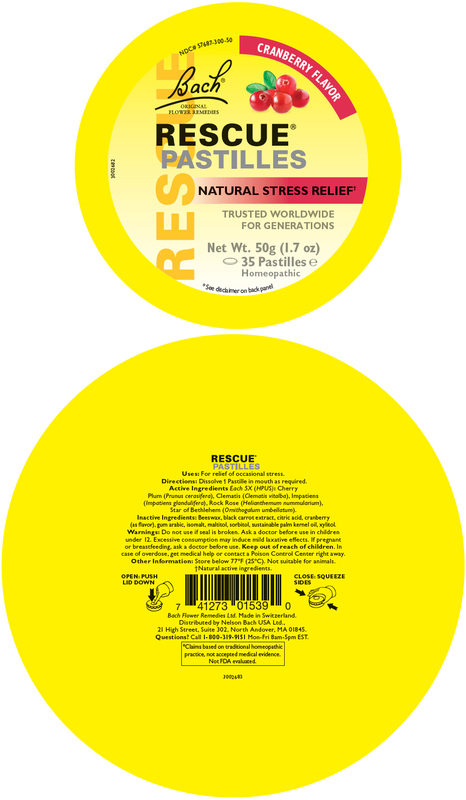 Each pastille contains the equivalent of 1 dose of RESCUE® Remedy. Sugar substitutes (sorbitol, maltitol, isomalt), gelling agent (gum arabic), citric acid, natural flavor (cranberry), natural color (extract of black carrot), sweetener (xylitol), vegetable oil, glazing agent (vegetable oil, beeswax). Excessive consumption may induce mildly laxative effects. Store below 77° F (25°C).